Maybe the rumors of the death of Superman — or rather the outs of Henry Cavill as Superman in the DC cinematic universe — have been wildly overblown. Maybe. 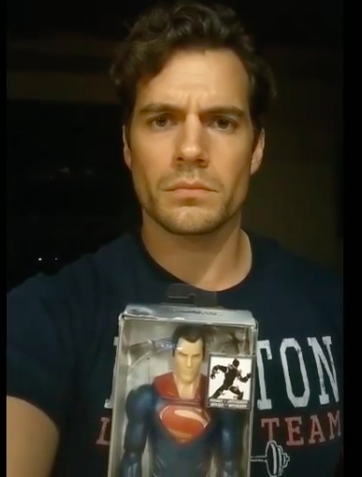 Henry Cavill posted a mysterious Instagram video hours after the rumors dropped with enough Superman imagery to make you think that maybe… something is up. 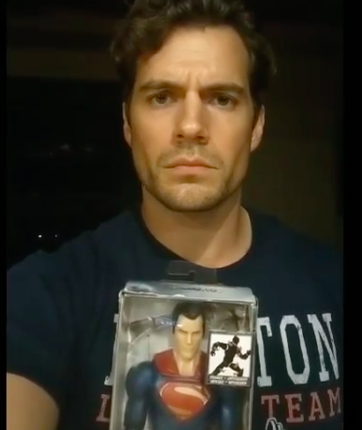 The Instagram, which involves a focused Henry Cavill raising an action figure of himself as Superman as the Blue Danube plays, while wearing a shirt representing Superman’s home planet of Krypton, hints that maybe the character and role are not quite as dead as initial reports led some to believe. That, and the sense of humor in the video hints that Henry Cavill is still hopeful about the situation. That and, as Mashable points out, Cavill’s manager earlier hinted that none of this was a done deal. With that said… doesn’t it feel like the nerd sphere’s moved on? Already everyone’s psyched about Michael B. Jordan in the role! So who knows, I guess we’ll have to see how it shakes out. For now, you can and should just go ahead and read the comics. Why be cute about it, that Superman is great! And he’s never going to be recast, he’s just going to be the same old square jawed doer of good. Look, superheroes are great. Go indulge in a massive shared universe story involving capes, tights, punches and multiverses today. why not. And who knows, maybe some day you’ll open up a Grant Morrison comic book involving the Supermen of multiple universes and see old Henry Cavill awkwardly pencilled in to some huge group shot. Hey, why not. It could be fun, probably. See Henry, you’ll live on as Superman forever. Batman v Superman: Dawn of Justice analyzed on ironic bad movie podcasts, your name shouted out on trivia nights and in listicles where I have to list the best Supermen — and even on a generous list you won’t beat out Christopher Reeve! How could anyone? He was the greatest Superman! What do you think of Henry Cavill’s Instagram? Do you think he could come back as the Man of Steel, or is it all hopeful conjecture? Let us know in the comments or on Twitter at @WhatsTrending.